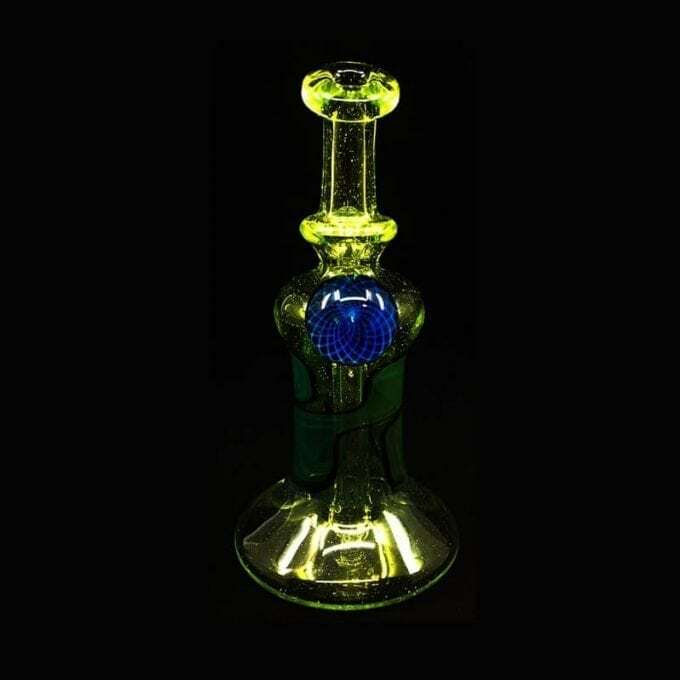 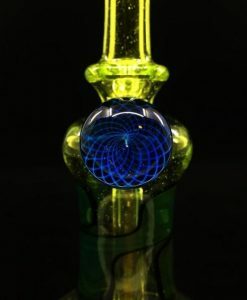 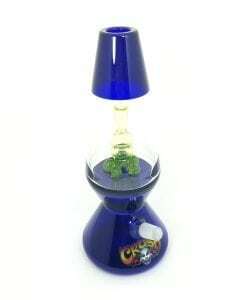 This Dab Rig features a fumacello marble displaying a beautifully vibrant blue flower of life sacred geometric design. 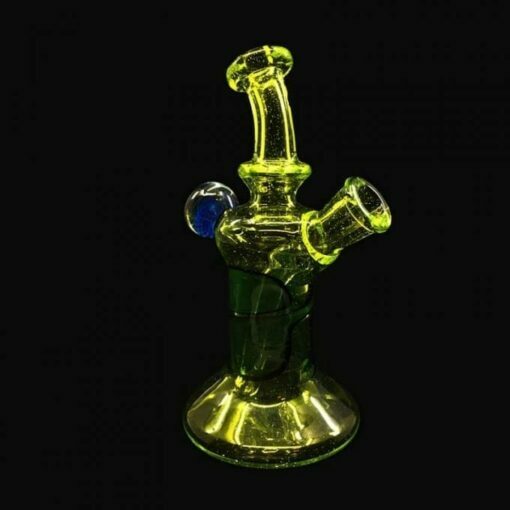 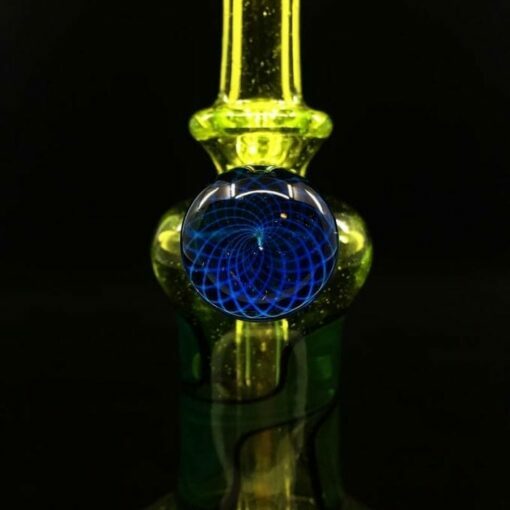 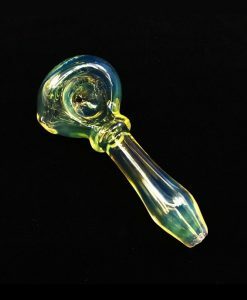 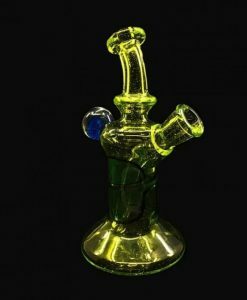 This STF Glass Mini Rig is made up of a bright candy-colored yellow/green tubing. 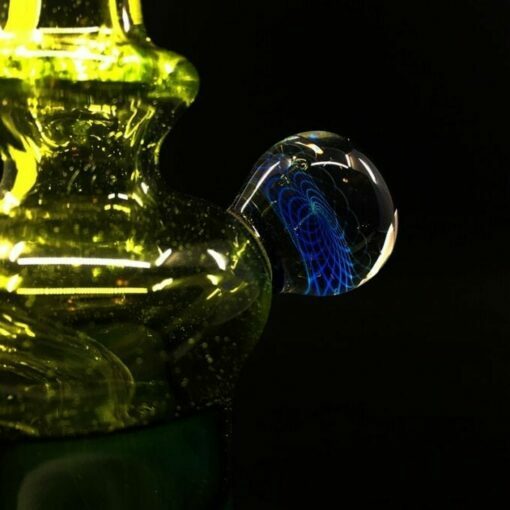 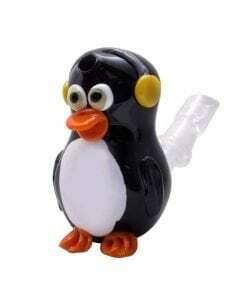 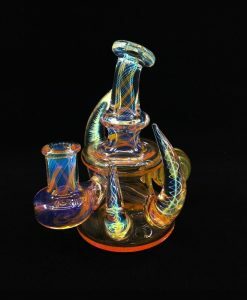 This rig is a classic STF Glass design before switching up to the fume style rigs. A large fumacello marble displaying a beautiful vibrant blue sacred geometric flower of life design is located on the back of this unique piece of art. 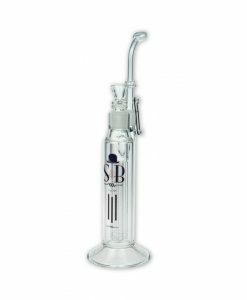 This rig has a fixed direct inject 2-hole diffused downstem and is the perfect example of unique craftsmanship from a veteran glass blower. 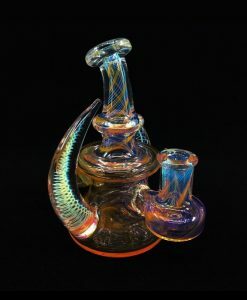 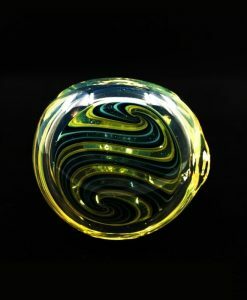 Sean Foley, aka STF Glass, has been blowing glass since 1998. 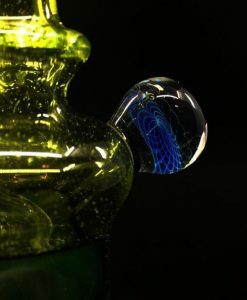 Each STF Glass item is personally Ti Signed and dated by Sean Foley. 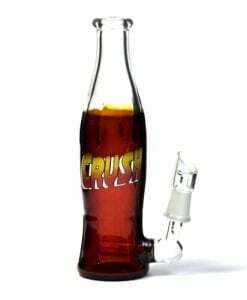 Truly a collector’s item.